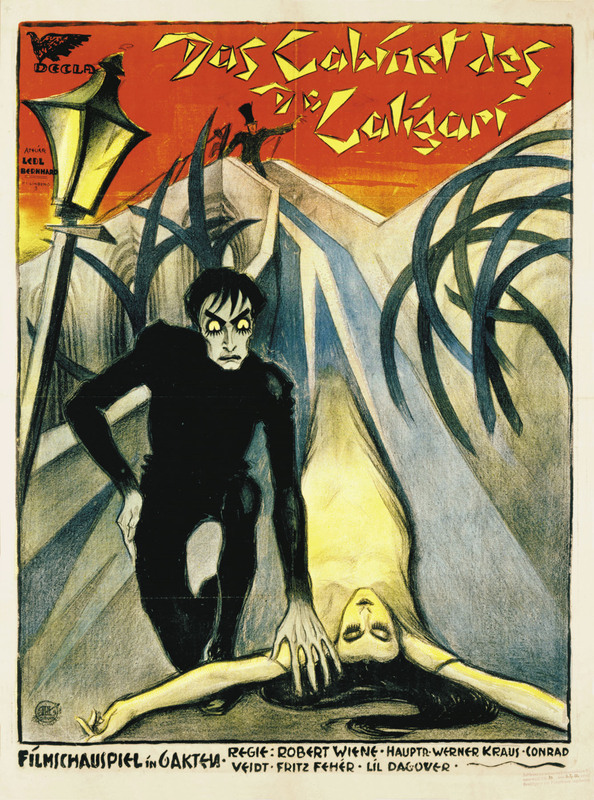 Today’s cinema adventure: The Cabinet of Dr. Caligari, the 1920 cinema cornerstone that established enduring conventions for the horror genre- indeed for cinema itself- and for the general public at least, has become one of the most recognizable representations of the German Expressionist movement. A bizarre tale about a mysterious carnival magician whose hypnotized slave commits a series of murders at his bidding, this landmark film was first conceived by its writers, Hans Janowitz and Carl Mayer, as a way to demonstrate the effectiveness of film as a medium for Expressionist art, and also to establish a definitive look for German cinema that would distinguish it from the growing influx of American movies to their country. 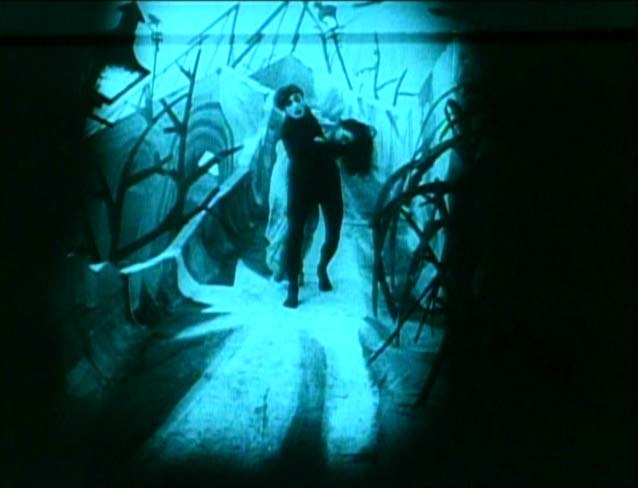 The resulting work is one of the most distinctive visual experiences ever produced, featuring wildly distorted scenery (abstract, asymmetrical sets with sharp, jagged lines, obvious and elaborately theatrical backdrops with painted-on shadows) highly dramatic lighting, and a heightened acting style that seems exaggerated even compared with other silent films of the time; it was an experiment which only took place because the writers persuaded producer Erich Pommer that making the film in this style would save considerable amounts of money. 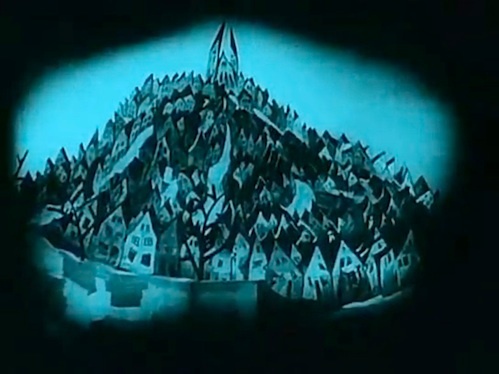 These creative pioneers- including director Robert Weine, who was brought on board when rising wunderkind Fritz Lang was unavailable- believed that their bold new approach would change the art form forever; however, though Dr. Caligari met with enthusiastic response from audiences and critics alike, and stirred much excitement in the world’s blossoming film community, it failed to lead the industry away from the more mundanely representational style in which it remains more-or-less grounded to this day. This is not to say that the film had no bearing on the future of cinema. 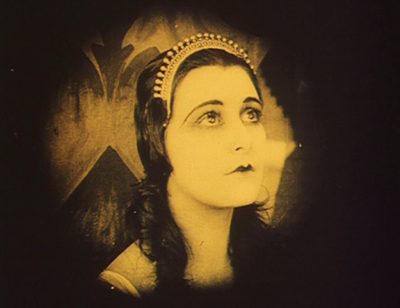 Its visual conceits and thematic elements have provided immeasurable inspiration for filmmakers from F.W. 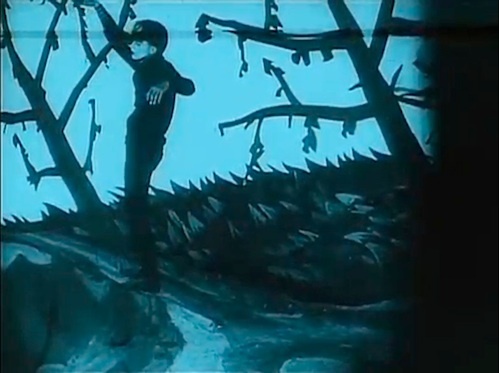 Murnau to Tim Burton and beyond. Its macabre tone and gruesome content influenced not only the future of the horror genre but the entire film noir movement as well. It set the precedent for using cinematic embellishment to suggest altered states of consciousness: virtually every film depicting dreams, delusions, or drug-induced hallucinations can trace its heritage back here. 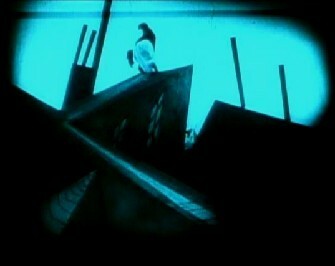 Most important of all, perhaps, was its establishment of numerous structural conventions that have been in continuous use ever since: by constructing its grim story as the remembrance of a young man who is ultimately revealed to be a delusional patient in a mental hospital, Dr. Caligari became the first film to feature a framing device bookending its main narrative, to rely on an unreliable narrator, and to surprise its audience with a twist ending. 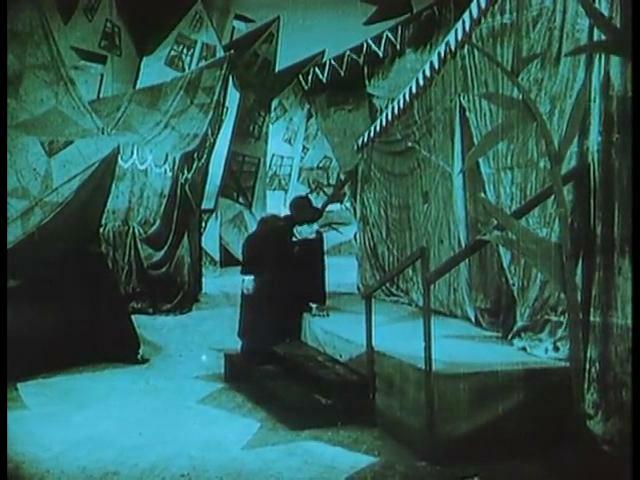 None of this is to say that later filmmakers could not have made these innovations on their own- but Caligari went there first. 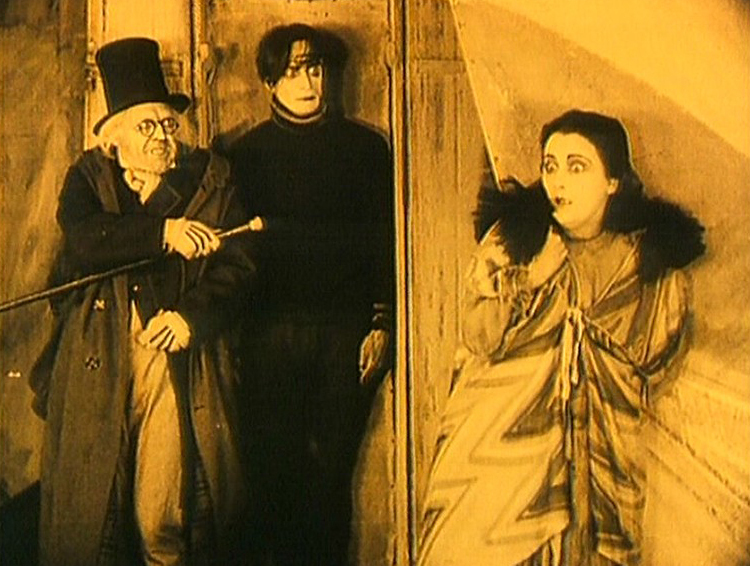 All this film class trivia is well and good, but how does The Cabinet of Dr. Caligari hold up today for the casual viewer simply seeking entertainment? 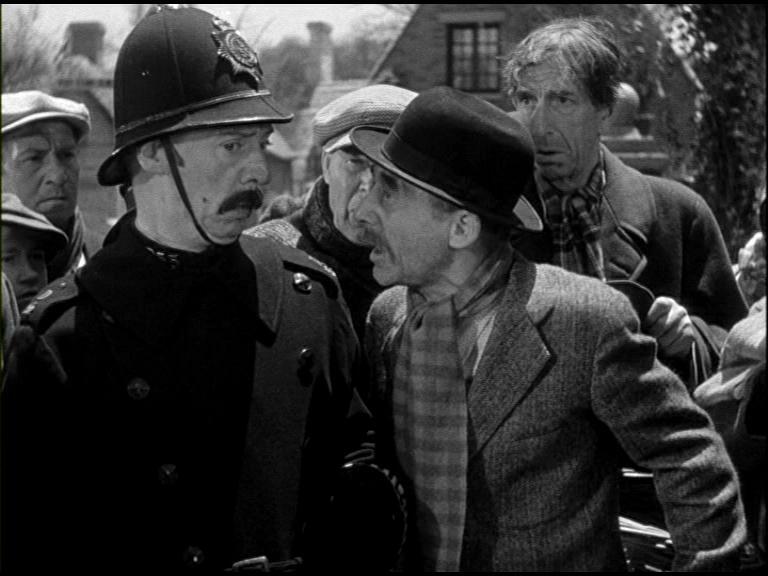 Probably not well: the world is a much different place than it was in 1920, and we have been inundated with stories and images much more shocking and terrifying than those in this film- which, ironically, opened the door for all of them. 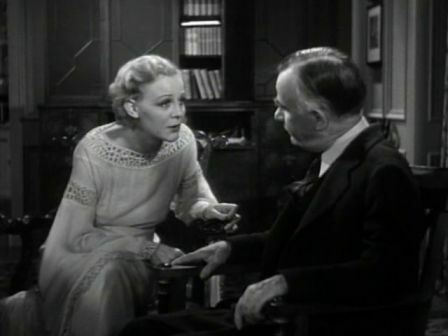 The conventions of fiction observed within it seem quaint and unsophisticated by our jaded modern standards, and the performances, with their jerky, unnatural physicality and their often-seemingly-inappropriate facial expressions (to say nothing of their histrionic, over-the-top style) seem unconvincing and inaccessible to us. To top it off, its outrageously artificial visual style is so alien and disconcerting that it only serves to distance us further from the events onscreen, ensuring that we will never become viscerally engaged in the proceedings. 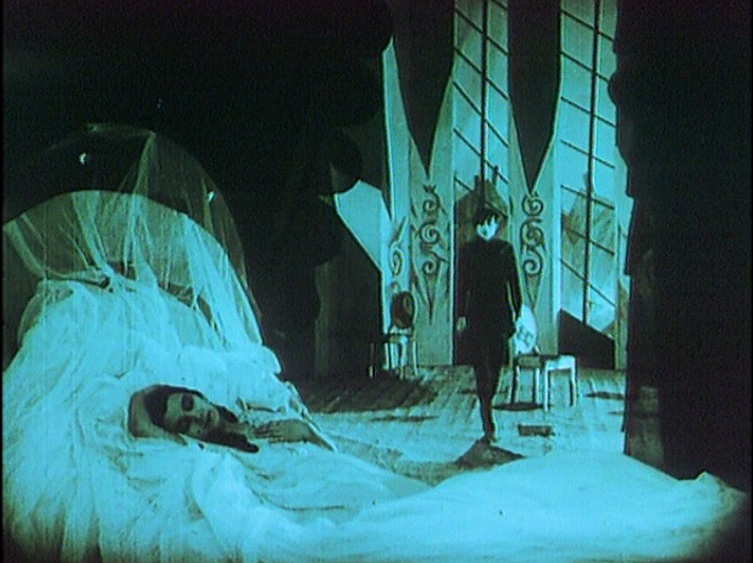 Of course, it’s true that these qualities were present even when Dr. Caligari was made- deliberately included as part of the Expressionist form intended and carefully crafted by its creators- but historical context has no bearing on our contemporary requirements for suspension of disbelief. 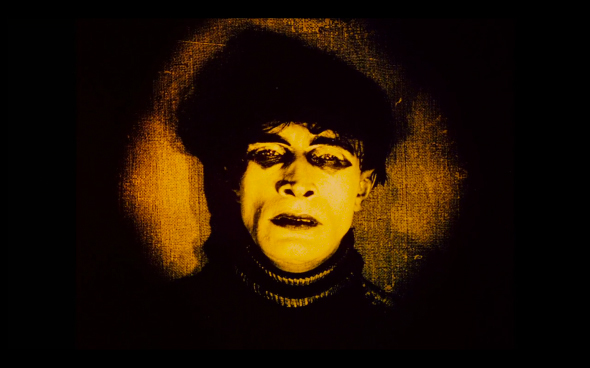 Before concluding, however, that Caligari has no value for any modern viewer who is not a film buff or an art enthusiast, it might be wise to look past the obvious sensibility gaps created by its distance from us in time. It was never meant to be a purely escapist experience, even when it was conceived nearly a century ago; rather, it was- and is- a vivid and fully realized vehicle for Expressionist themes such as paranoia and the unreliability of perception, and an impressive presentation of the movement’s distinct visual style, comprised of crude, primal imagery that works on the subconscious to elicit a strong emotional response. 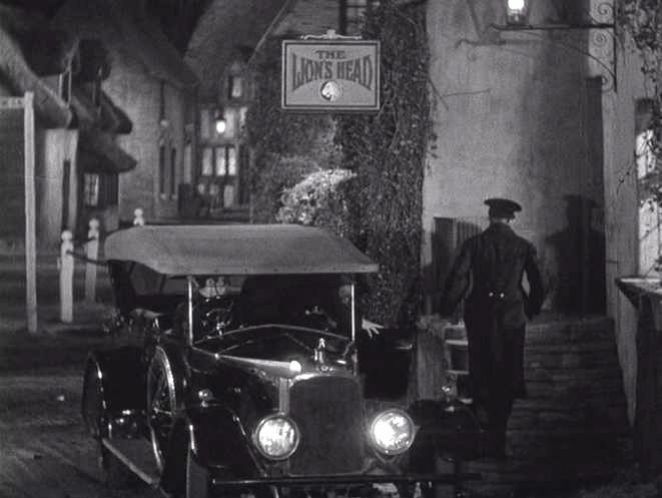 Its effectiveness is even keener in its restored form, which not only returns sharpness and luster to the once-faded print but also recreates the original hand-tinted colors, helping to clarify the story by differentiating day from night, and polishing up the intertitles with a font and style coordinated with the bizarre content of the story they tell. 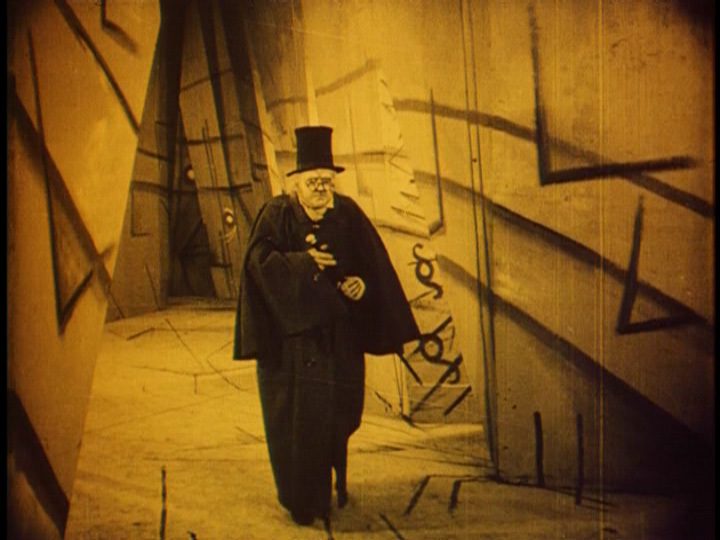 A viewing of Dr. Caligari is hallucinogenic enough on a small screen, and though I’ve never had the opportunity to do so, I suspect that seeing it projected larger than life in a darkened theatre would be akin to experiencing a full dream state. 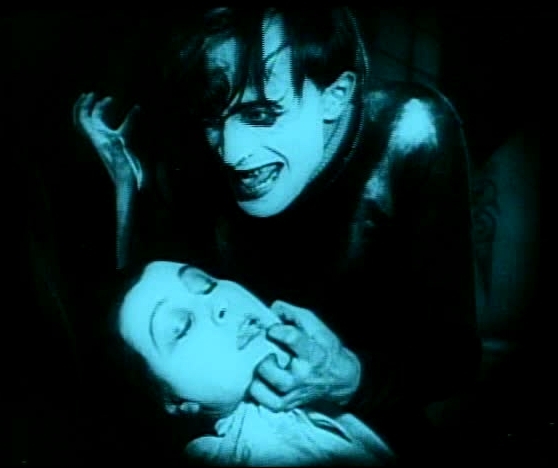 It’s also worth mentioning that although the stylized acting is hard to assess fairly from a standard modern perspective, Werner Kraus and Lil Dagover, as the mad magician and tragic damsel, respectively, have become iconic as personified archetypes of the collective consciousness; and as Cesare, the tormented somnambulist, Conrad Veidt is electrifying, using his remarkable physical skills and his expressive face to transcend both genre and style, and delivering perhaps the first truly great film performance- one which continues to inspire and influence actors to this day. 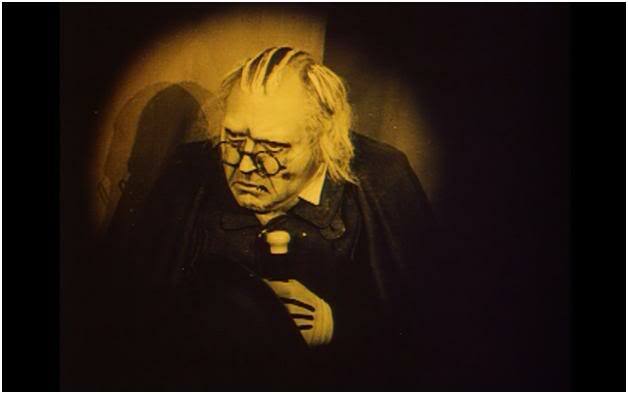 So although The Cabinet of Dr. Caligari may not offer the kinds of thrills and chills sought by the average viewer looking for a lively horror film, it certainly offers many other rewards. There are good reasons why it has been celebrated, emulated, re-invented, re-adapted, saluted and parodied so many times over the decades; it is part of our cultural makeup, and if that is enough to get you to watch it, you may find yourself enjoying its twisted pleasures in ways you never expected.